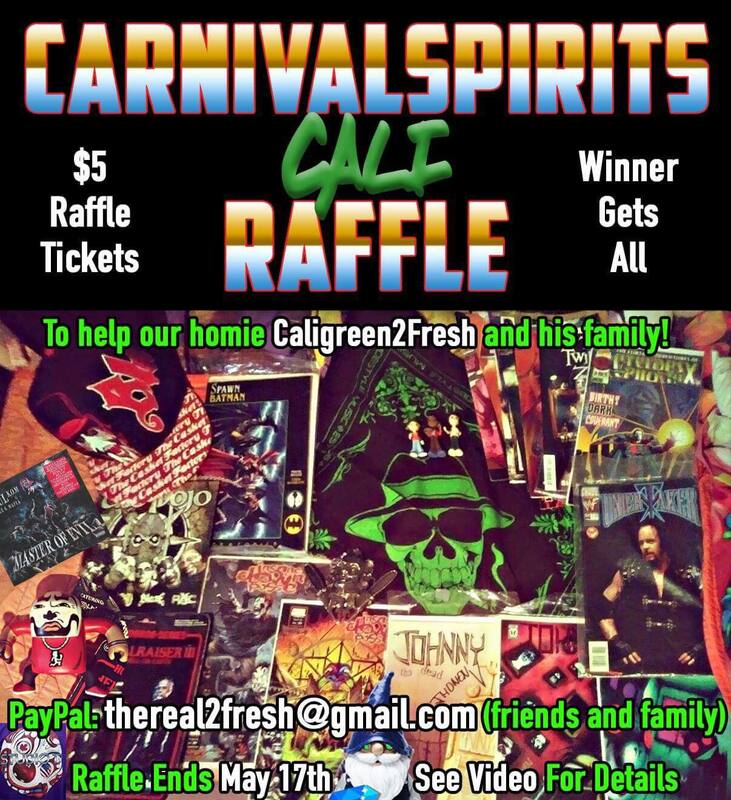 News > Family News > CarnivalSpirits: Win A Fresh Raffle for and Help a Juggalo Out! CarnivalSpirits: Win A Fresh Raffle for and Help a Juggalo Out! Our homies from CarnivalSpirits.com have banded together to help a homie out. Caligreen2Fresh, who is a founding member of Carnival Spirits, recently got a bone thrown his way and needs to raise some cash to get him out of this bind. Raffle tickets can be purchased by sending money via Paypal (Friends and Family) to thereal2fresh@gmail.com! The raffle ends on May 17th, so make sure to get your tickets soon!